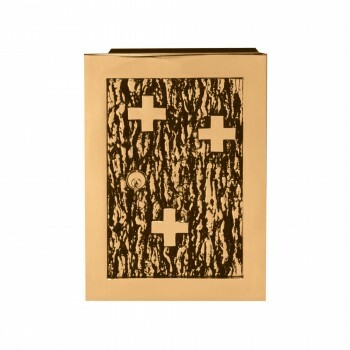 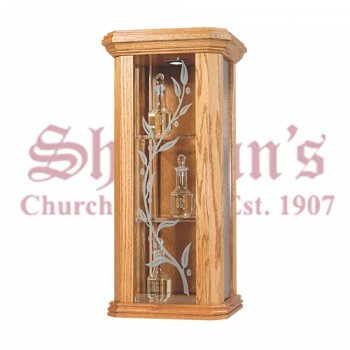 Matthew F. Sheehan's has a wide collection of ambries and chrismal sets to choose from. 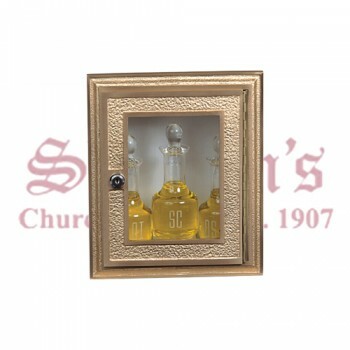 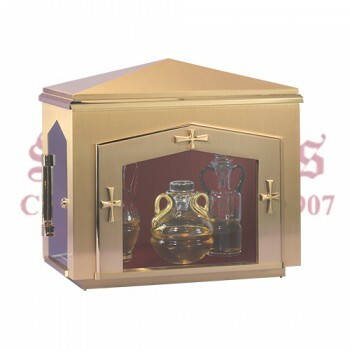 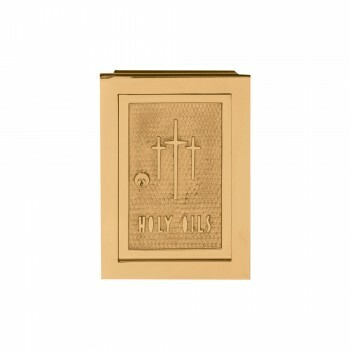 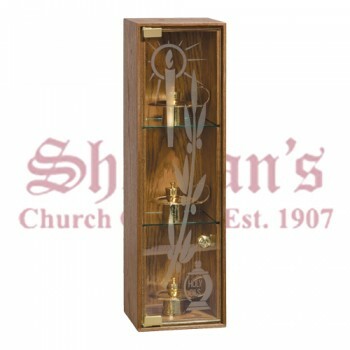 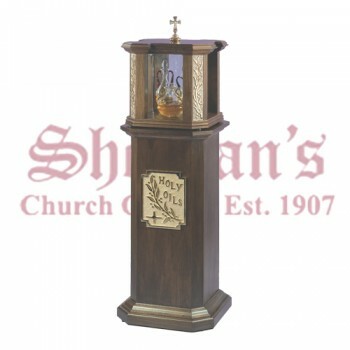 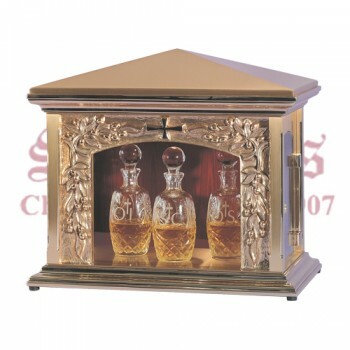 Our exquisite selection offers beautiful objects that serve a holy purpose in the life of your church. 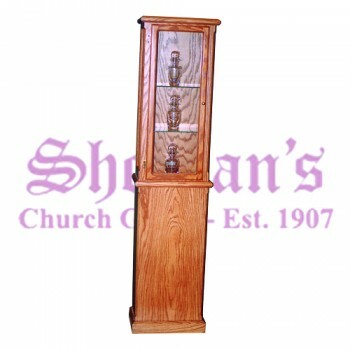 At Sheehan's, we offer many different ambries in a variety of different styles and materials. 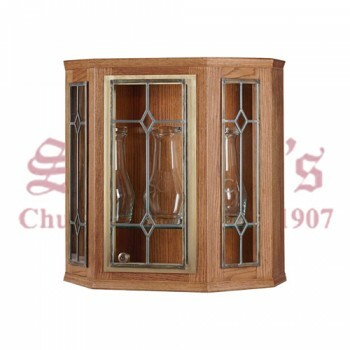 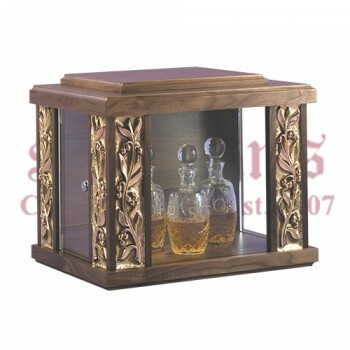 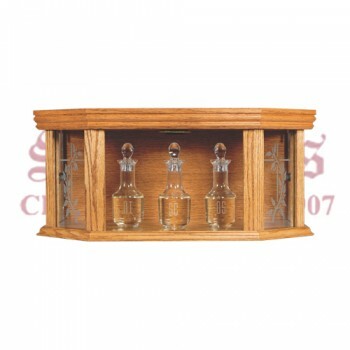 Choose from oak cabinets with glass panels, bronze ambries, etched glass ambries and more. 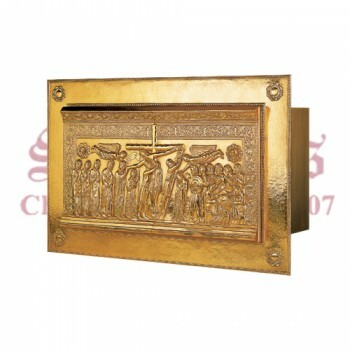 Decorated with scenes of the cross, crucifixion scenes, ornamental designs and other Christian symbols, our ambries are both functional and beautiful to behold. 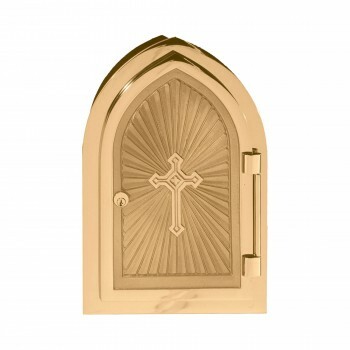 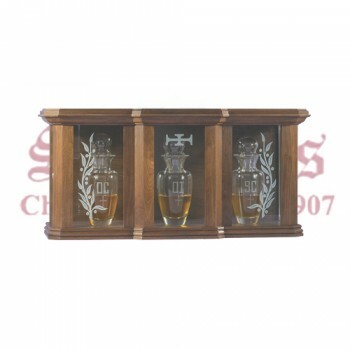 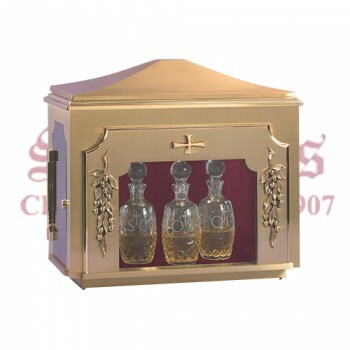 We offer several different styles of chrismal sets in a variety of capacities in crystal or glass, and etched with symbols and designs that shine. 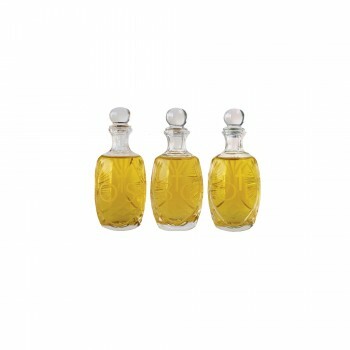 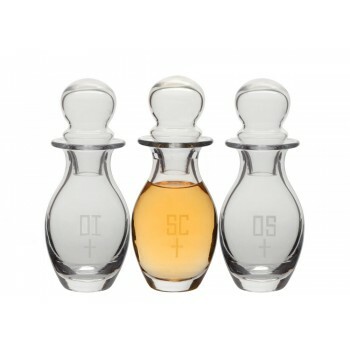 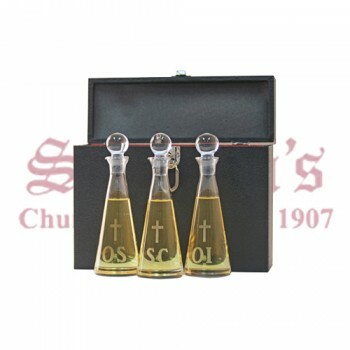 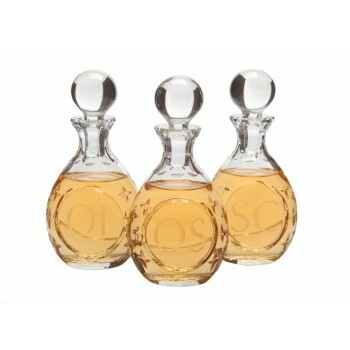 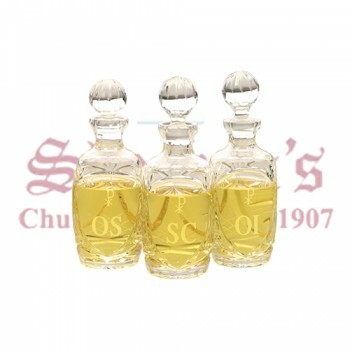 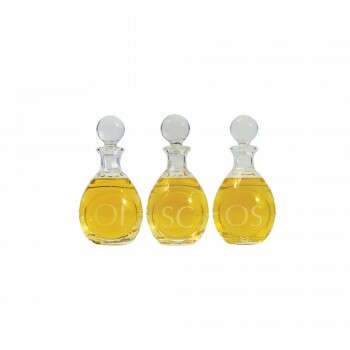 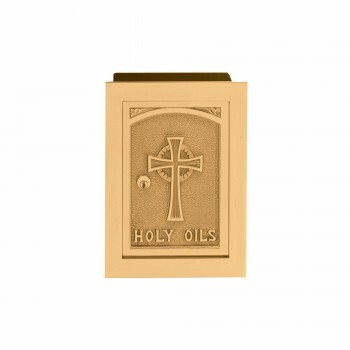 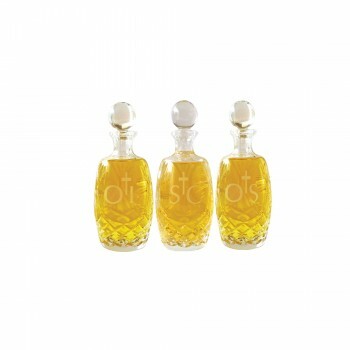 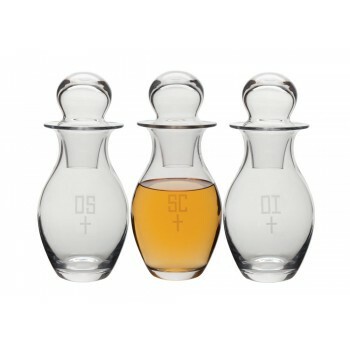 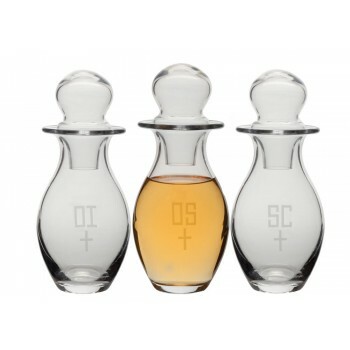 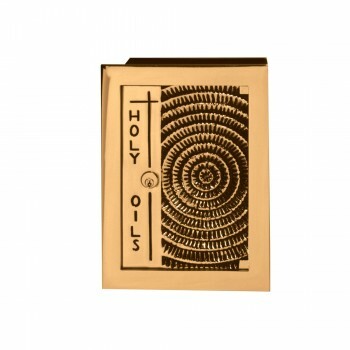 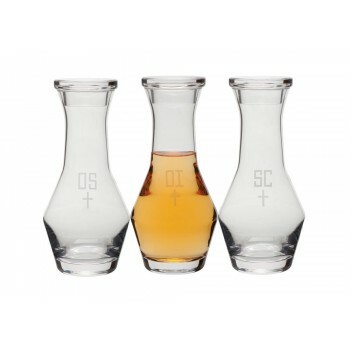 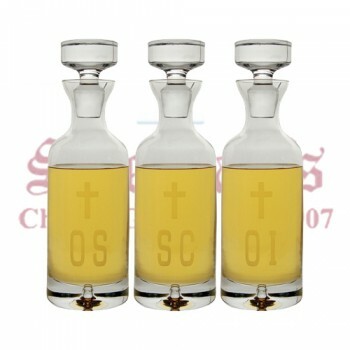 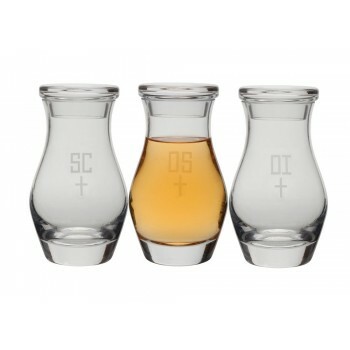 Ambries and oil sets may vary in design, with styles ranging to suit unique churches' tastes. 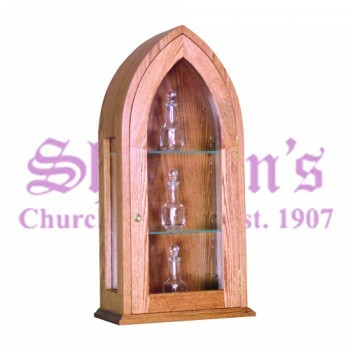 Please give us a call at 617-762-5091 and we will be happy to answer any questions you may have our ambries and chrismal sets.